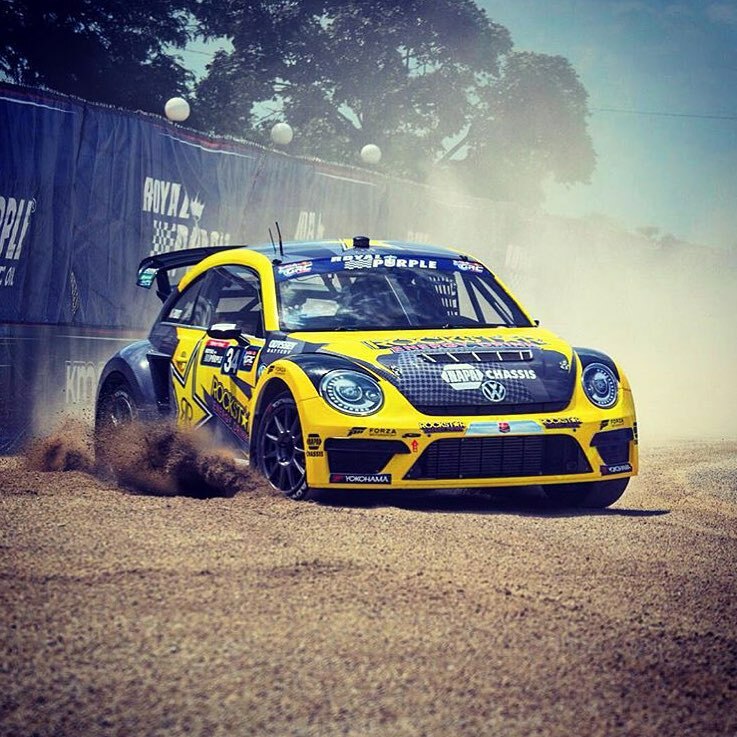 Rally Racing News Leader in the USA | Rally World News Rally World News: "When you're between a Block and a hard place, there's nowhere to go,"
"When you're between a Block and a hard place, there's nowhere to go,"
DETROIT, Michigan (July 27, 2015) - Rockstar Energy Drink driver Tanner Foust showed good speed this weekend at the Detroit Global Rallycross doubleheader but faced disappointment after finding himself in the wrong place at the wrong time on race day. "The car was fast and had winning potential and I feel for the team who cranked all weekend to come up virtually empty handed," said Foust after he was sidelined Sunday in a first-corner crash. The driver finished second in his Sunday heat and won the semifinal to earn a front-row starting position for the final. But contact with Ken Block saw Foust take massive damage to the Rockstar Energy Drink Volkswagen Beetle. The race was red flagged and Foust was unable to continue, while Block was penalized for the incident. "When you're between a Block and a hard place, there's nowhere to go," said Foust, whose race ended with a slam into the track wall while driving alongside Block. "I did everything I could to avoid the crash but there wasn't enough room for two cars side-by-side and I just got squeezed into the wall. It's a disappointing way to end a potentially good weekend." Foust had been hoping for a second chance Sunday following a tough day of racing on Saturday. In the first of the weekend's doubleheader races, series officials canceled qualifying to make time for some last-minute track work. That meant drivers were placed into heat races by points position, forcing Foust into the second row for heat racing. "There weren't many places to pass on the course so a good starting position was absolutely critical in Detroit," said Foust. "I took some risks to try to get ahead and unfortunately they didn't pay off." He scored a pair of third-place finishes in heat and semifinal racing to earn a third-row starting position in the final. There, while working his way through the pack, he and another driver touched wheels, causing damage to the Volkswagen's suspension. Foust scored 10th place points. "The cars were fast and reliable; we had the makings of a great weekend -- fine-tuning and making adjustments to get faster for every round," said Foust. "I'm happy to see my teammate Scott Speed put the Volkswagen on the podium and I'm looking forward to being there along with him at the next race." Next for Foust and the Volkswagen Andretti Rallycross team in the Global Rallycross championship is Round 7 in Washington, D.C., presented by Volkswagen. 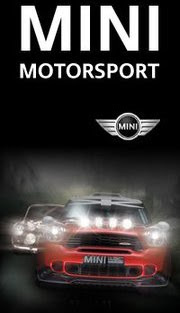 The race takes place August 15 and airs live on NBC at 3 p.m. ET.